Changing Light Colors on the Amazon Echo: What Each Color Mean? What Do the Different Light Colors on the Amazon Echo Mean? With that said, let’s go into some more detail for each color. A flashing color might mean something completely different than a solid color on the Alexa. Spinning Blue Lights: If the top of your Amazon device is lit with spinning blue lights, this means that the device is just powering on and starting up. 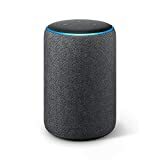 Solid Blue with a Lighter Blue section: The lighter blue section should be positioned toward whoever is currently speaking, as this color pattern denotes that Alexa is listening for a request and processing it once you have spoken. No Lights / Lights Off: Your Amazon device is on and waiting to hear a voice command from you. Basically, this is Alexa’s resting state. Orange Lights That Spin Clockwise: If you’re attempting to set up Alexa with your WiFi network, you’ll see these orange spinning lights. The light orange color appears during the WiFi connection stage of setting up your Amazon product. Oscillating (Swinging, like a Pendulum) Purple Light: The light ring will turn purple if your Amazon device failed to connect to WiFi, or if a similar error occurred during the WiFi setup stage. Solid Red Light: If the light ring on the top of your Echo is solid red, you have disabled the microphone feature. Alexa will not be able to respond to your requests until you have enabled the microphone feature, which will turn the solid red light off. Solid White Light: The light ring on top of your Amazon device will turn solid white when you are adjusting the volume of the device. Spinning Blue Light That Ends With a Purple Light: You have set Alexa to “Do not disturb” mode. 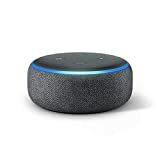 Single Purple Light Flash After You Try to Use a Voice Command: “Do not disturb” mode is still active, and Alexa is reminding you of this. You must disable “do not disturb mode” for your voice command to be processed. Pulsing Yellow Light: Alexa is notifying you that you have a new message or notification that needs to be reviewed. Simply ask Alexa to read you what the message or notification is to clear this yellow light. Pulsing Green Light: You are receiving an incoming call or Drop-In on your device. When you see this light, you can either ask Alexa to answer, tell Alexa to ignore the call or simply let the call go through to your messages by not giving a voice command. Knowing what your Amazon Echo is trying to communicate to you with the different colors of its lights is essential in getting the most out of this product. 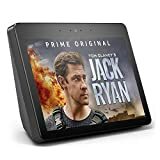 If you’re interested in expanding your connected home, Protect America offers home security products that are compatible with your Amazon Echo.